and while I agree with the sentiment, I feel that before you can go on, sometimes it helps to look back and see how far you’ve come. So I’m going to do just that by joining Sadhbh over on Where wishes come from, to look back one last time, kiss 2016 goodbye, and then walk into 2017. I’m very aware that I didn’t do a follow up post for this one, mostly because I didn’t really want to revisit the week I was reminded that I am black. It’s painful, I still play it, and the aftermath, back in my mind and hate, hate, hate it. but it is what it is, and I am so grateful for all the comfort, practical suggestions, and support many of you gave me. Thank you and I’m so sorry I haven’t given you an update on what I did. I’ll try, once I’m over how I feel about it a bit. It may not be the most popular, but I loved writing the end of the fourth trimester. I was in that hazy love filled bubble with this tiny little creature that I simply adore, and every day now, we see more lights on and get a glimpse of the person she will be. Such a laid-back, calm content baby. Has got to be Heeeeres Jessie! 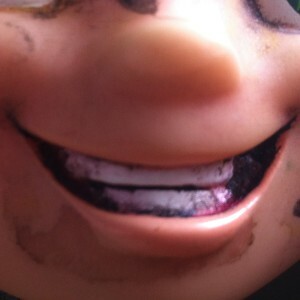 Not only did I enjoy writing this post, but that doll gave me the creeps after that. We got rid of poor Jessie soon after as Roz really couldn’t relax in the room with her lurking about grinning maniacally…*shudder* I enjoyed writing it and it was one of those posts that rolled off my fingerprints in ten minutes. Come here my pretty, she whispered in a hoarse voice. Most of my favourite photos never make it to the blog. I take tons of photographs everyday. The kids will be sick of me by the time they’re in their teens. 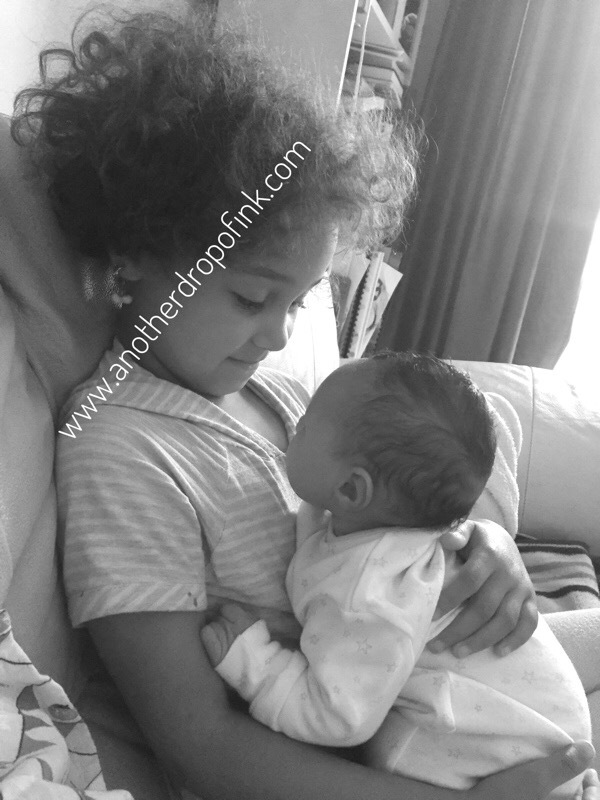 I took this picture when the baby was nine days old, a week after we were home from the hospital and Roz wanted to hold her. The look of pure adoration in her eyes makes my heart melt every time. No, she’s not heavy, she’s my sister. 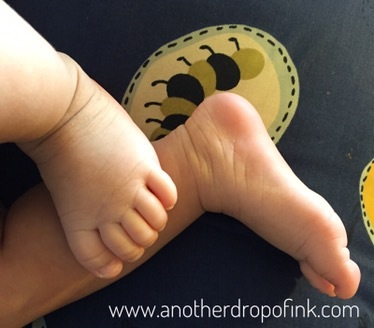 On the blog, it’s been the little chubby feet of baby number two. I could kiss them all day! Last month we went on our first flight as a family of four. It was indeed an adventure. 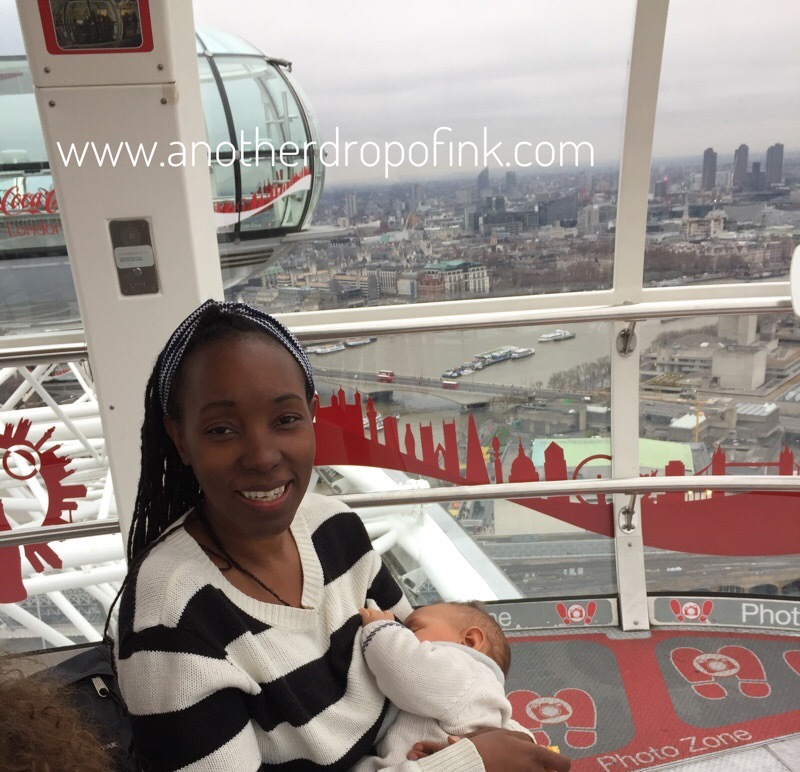 Navigating the London underground with two kids, Roz’s first stay in a hotel (she loved it!) making a list of what we wanted to do, the two parents not killing each other or initiating divorce proceedings on our return…all fun. We can never find good hats for the children. Often times, the ones that fit, I find hideous, and the pretty ones are completely useless. 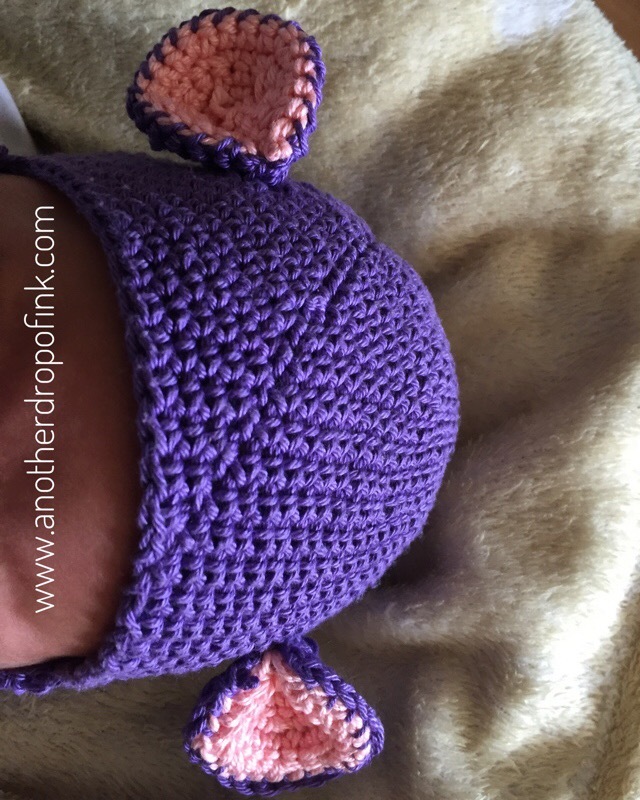 So this year I re-ignited my crochet skills and have made not just one, but three hats for the baby. She’s already outgrown hat number one, but I’m so proud of it. I shared it over on my facebook page, but here it is. The only theme on my blog this year was the lack of a theme. Looking back has made me realise this, and I’m going to make changes or heads will roll. Seriously, I’ve been a bit all over the place, but that’s because the whole year has been a bit all over the place. So most common theme – lack of a theme. Noted and to be remedied. I can’t pick any one. I was grateful, in all my haphazard blogginess, to get even one single comment so thank you to everyone who took time to come on over and leave me a comment, or like a post. Thank you, thank you, thank you. Of course number one was my beautiful little girl joining us and making our little family whole. Bittersweet because this is the last time I’ll hold my very own little baby in my arms and every milestone is the last, but wonderful as I’m lucky enough to have had no problems conceiving her, a relatively easy pregnancy, and then to have her here in all her drooly loveliness. Kris’ birthday was a close second. We finally had a little party (he wouldn’t let us have one last year on a major milestone birthday) and celebrated life. For a moment there in 2016, we weren’t even sure he’d see this birthday, so it was lovely having people we care about surround us and celebrate with us. Has to be Netflix. Don’t get me wrong, I liked getting whatever I got to review, and I made a conscious decision in 2016 to only review things I would truthfully enjoy. I love television, I love series, I love movies. Netflix ticks all those boxes, and to sometimes go to the post and receive an unexpected surprise from them was thrilling. 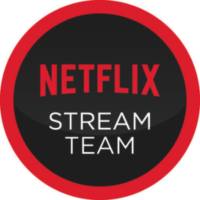 This is my third year being a stream teamer and if I stopped, I’d still review things on it because it’s just a great service at such a low price for what I get in return. i.e. sanity. 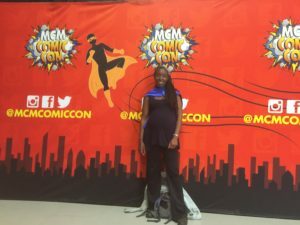 I also loved going to MCM Comic Con. I didn’t go there with any intention of blogging about it, but ended up doing so because I just love the event. I meant to blog about it in 2015 because I was real kickass and went as Michonne from the walking dead, but this time was fun too. I was nine months pregnant and couldn’t think of any pregnant characters to go as, but loved all the other cosplayers’ outfits. Was attending the HerFamily Childline breakfast event. I got to meet up with a few fellow bloggers I hadn’t seen in a while, but also learnt a lot about childline. It’s such a worthy cause up there with all the other helplines available for people struggling on a daily basis. Was not being able to blog about some of the things that happened this year. I struggle with the idea of putting my life out there to be judged, and putting my life out there to get support. So when we had a major health scare, my default mode was to curl up and retreat into my shell. And feeling kicked in the stomach (figuratively) by someone I felt was a close ally while all this was going on, without them asking how everything my end was, I spend days, then weeks then months rolling over it over and over in my mind and I’m still undecided on what to do but feck it, it’s done. 2016 was the first year I didn’t really put any clear thought into my titles. I was disappointed in myself. So I have no favourite title. not one single one. They were all merely adequate. Shame on me! I love linkys. Oftentimes, I’ve ended up missing the deadlines so I haven’t been as consistent as I’d have liked, given it’s a great way to see how different people write about the same thing, and is a lazy way to find something good to write about when you’re hit with writer’s block. So I joined the Focus Ireland blog march to raise awareness of the frankly, alarming situation of homelessness in Ireland. The numbers are still rising, the government is still not doing enough, and people are still suffering. Then in December I joined Nicola over at the Simply Homemade blog for music and memories at christmas, which led to my finding a song I haven’t heard in a very long time, and thinking on the past. In a good way. However, I enjoyed writing That’s soooo you, a blog link on things that identify me the most, because it meant I had to involve people in real life. It kept me sane, kept me linked in with people I’ve grown to admire; I’ve discovered so many new bloggers that I now really enjoy reading, and introduced me to a world of other bloggers that is so supportive and full of wisdom. The main thing it has done though is to keep me writing. I first began the blog to give me a bridge before writing fiction, and it’s done just that. Though you couldn’t tell from this year’s offerings, ha! 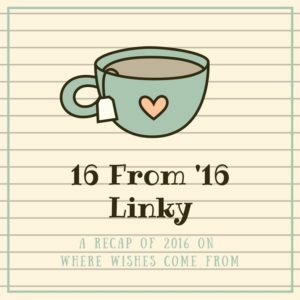 If you’re a blogger, join in with Sadhbh and tell us what your 16 from 2016 are, or if you’re only reading, click on the picture below and that’ll take you to other bloggers who have joined in the linky. Thanks for joining the linky Muuka! You’ve had quite a roller coaster of a year! And you should definitely have you graduating as your best move – how cool is that?! But seriously – having a baby AND graduating in the same year is no mean feat. You ROCK. I love the pictures of you feeding L and of your too girls so much! Ah thanks Sadhbh. I was very proud of myself as for a while there, it didn’t look like I was going to graduate at all. Happy new year to you and yours too. Great year Muuka!Congrats on graduating!That photo of the two girls is just gorgeous!